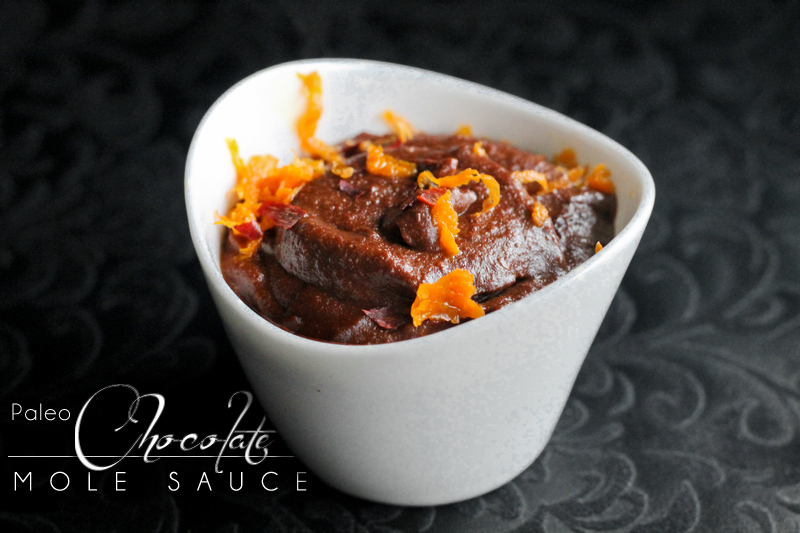 Have you ever had chocolate mole sauce? 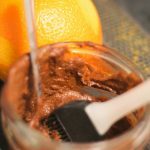 It is a blend of of rich chocolate, smoky spicy peppers, and dozens of other ingredients. 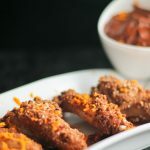 This one is dairy and gluten free, as well as paleo friendly. 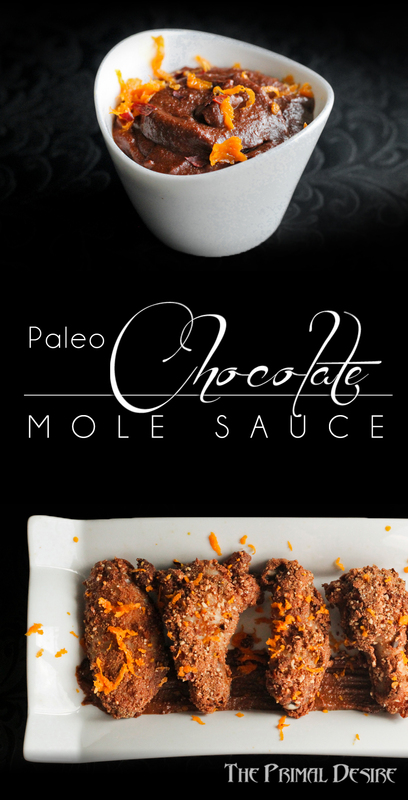 Paleo chocolate mole sauce, the perfect dipping sauce for our Orange Chocolate Chili Chicken Wings, or any other chicken or pork dish that needs a little extra kick. Hey! How the heck is everyone? We are now well into February and our 4-week paleo challenge; did you do a whole 30 or clean eating/paleo challenge? How did it go? Are you joining us for this month? I would love to hear about it! I, like Raj, have a million ideas, and so much to write about, I know this year will be the best year yet. Unfortunately, since returning from Cuba (a trip I'm dying to tell you more about), I'm feeling a little under the weather. I suffered some gastrointestinal distress while on vacation, and I'm not sure if this is residual, or maybe I picked up an airport bug? Either way, I'll spare you the details and keep today's post short and sweet! Besides, I have a few more episodes of The League to watch in bed. I have mentioned before; I have the most amazing friends, and this last trip we had what I like to call “vacation shoulders”. It's when you spend a couple days before or after a vacation. These “vacation shoulders” often set the tone for your trip. This time around we had great company on both ends of our trip. The always fabulous Mr. & Mrs. Dew hosted us while in Vancouver both driving us to and picking us up from the airport. Providing us great food, fun and most of all great ideas. 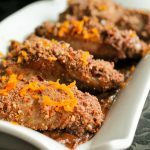 It's where the idea for the Orange Chocolate Chili Chicken Wings for Superbowl came from. On our way to Cuba, we over-nighted in Toronto and went for dinner with my friend Neil. He and I have known each other more than 24 years! My darling friend picked us up and took us to the distillery district to this funky and delicious authentic Mexican restaurant. We ate family style sharing some delicious authentic Mexican food, amazing service and of course, margaritas. Raj had never tried mole sauce, so Neil and I ordered some without telling him what it was in hopes of making him guess. Mole sauces can have between 20-30 ingredients so we really didn't expect him to be able to list ingredients, but sadly the kitchen was out… so he has still not tasted anything but my version. I guess that makes it the best? You can judge for yourself! 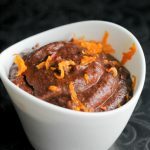 Spicy and creamy this Mexican Paleo Chocolate Mole Sauce is great on chicken or pork or just as a dip! On a sheet lay out: tomatoes, garlic cloves, raisins, cashews, almonds, peppers, poblano, serrano, jalapeno, habanero, and chipotle, onion and orange. Drizzle olive oil overtop and sprinkle with salt and pepper. Roast for 60 minutes turning everything and spreading it out on the pan. You want a little char, but not burnt! Let cool slightly and blend (food processing doesn't quite make the texture smooth and sauce-like). Add chicken stock (or veggie stock) and continue to blend until smooth. Transfer to a pot and bring to a simmer. Add chocolate and stir until mixed. 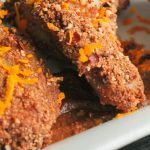 Garnish with chili flakes and orange zest, and serve with our fantastic Orange Chocolate Chili Wings! Want a little less heat? 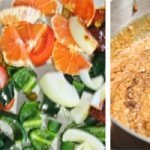 Substitute or omit the hot peppers for milder varieties!